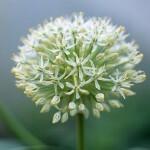 Also known as ornamental onions, alliums are striking decorative plants that tend to have a long stem topped with a spherical head of multiple tiny florets – the familiar chive is a part of this family. 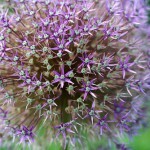 While the blooms often come in shades of purple and mauve, there are also white, pink, red and yellow options. They prefer spots in full sun, and if you can give them freely-draining soil, they often multiply so clumps will need to be divided if they become congested. 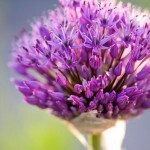 Alliums generally take up little room width-wise, so the bulbs can be planted around other perennials and small shrubs to prolong your display of colour. Smaller plants such as A. unifolium and A. moly are ideal for rockeries and the front of a mixed border. 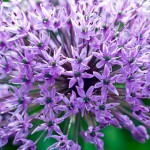 More dramatic options such as ‘Gladiator’, which can grow to 1.5m tall, are best for the back of a border and need to be planted around 30cm apart. One of the most vibrant choices is ‘Purple Sensation’, and it looks great in a pot or planted in groups amidst ornamental grasses. A. sphaerocephalon has egg-shaped claret blooms offset by strappy emerald leaves. Two of the best white-flowered varieties are A. karataviense and A. nigrum. 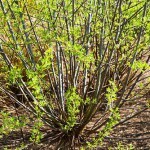 The former has attractive foliage, while the latter tends to bloom after the foliage has died back, leading to striking displays. 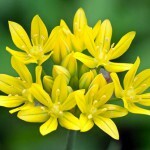 This entry was posted in Plant focus on March 27, 2014 by gapadmin. 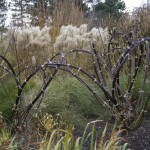 There may not be a whole lot in flower in the garden in winter, but at Royal Horticultural Society Garden Hyde Hall in Essex I can guarantee you will see some mighty big blooms. 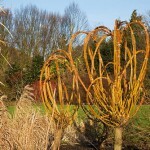 Some of the brightest colour in the garden in winter comes from the stems of pollarded willows. 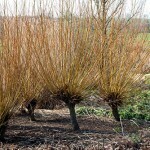 If left unpruned, willows grow into rather large trees, but by pollarding or cutting back to the main stem every year we keep them much shorter. 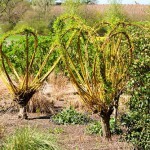 The technique comes from growing long flexible stems of willow for basket weaving. 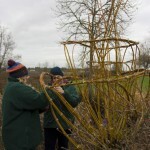 While we don’t weave baskets at Hyde Hall we carry on the practice of pollarding our willows for stunning winter colour. 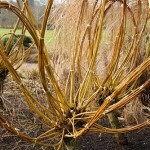 A pollarded or coppiced willow will put on more than 5 feet of growth every year and this fresh growth on the best cultivars is brightly coloured usually in shades of red and yellow. 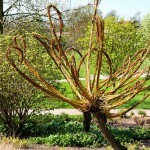 If we miss even one year of pruning, we lose the brilliant colour and the willow starts to grow back into a tall tree. The stems of Salix alba cultivars tend to glow the brightest but we take them one step further. 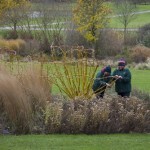 Before Christmas the team and I carefully bundle the stems of the pollarded willows growing through Clover Hill. This isn’t part of some complex and technical horticultural practice, but is purely artistic in its aim. We bend and tie the stems together into in large loops and curves creating abstract flower shapes; some up to 8 feet high. Our hope is that these massive flowers help bring a bit of summer bloom to a cold and wet winters day. Like all flowers these ones don’t last forever and our blooms finish by April. Just as the willow starts to show sign of that fresh green growth that means spring is just around the corner we cut all of the current year’s growth back hard. This may look drastic, but it’s not long before the willow puts on several feet of growth ready for next year. 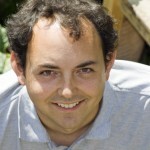 Andrew Hellman is a horticulturist at RHS Garden Hyde Hall in Essex. As well as sculpting willow on Clover Hill, he and his team maintain the Australian/New Zealand Garden, container displays and the newly created Cottage Garden. You can catch the sculpted willow flowers at Hyde Hall until April but there is something stunning to see all year round at Hyde Hall. This entry was posted in Expert advice on March 25, 2014 by gapadmin. The Victorians prized peas above all other vegetables, and once you’ve experienced the exquisite taste of a freshly-picked pea, you’ll understand why. The flavour isn’t the only reason to prioritise growing this crop in your garden. 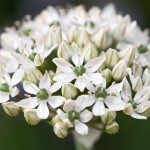 They are surprisingly easy to grow if you follow a few simple rules, and this plant can offer a bumper crop in return for a minimum of care. 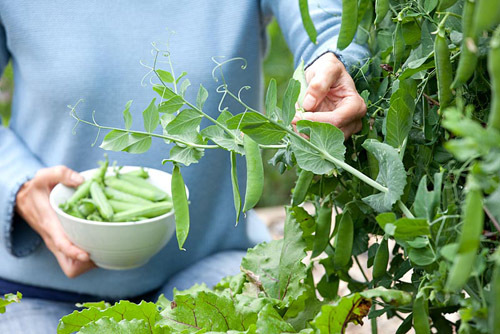 It’s worth sowing a succession of crops at monthly intervals so that you can enjoy harvesting fresh pods from summer up until the first frosts. 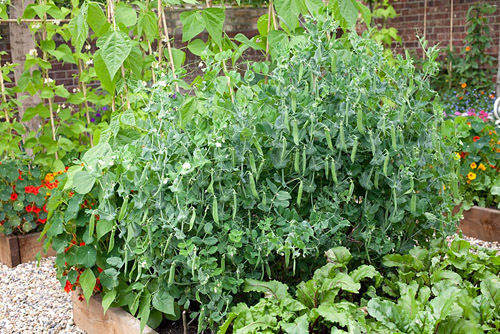 Seed packets are often very generous, and large ones should contain enough peas for several sowings. 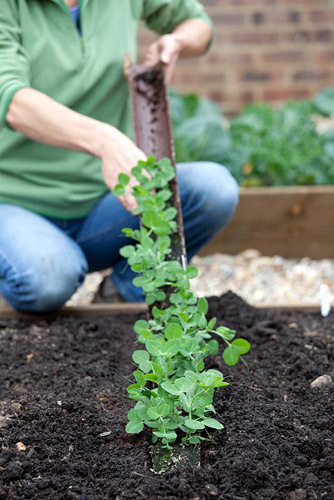 Two common problems encountered when trying to sow peas is that they can rot in cold damp soil or get eaten by hungry pests. 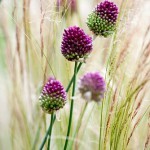 Planting them at 5cm intervals in a length of guttering is the solution. 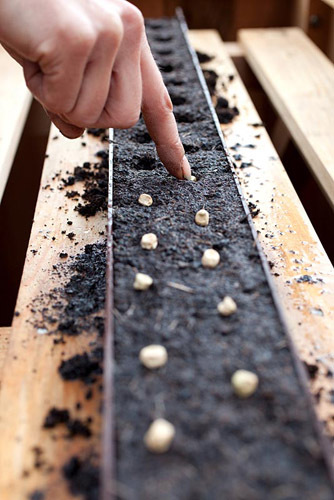 When all the seeds have germinated and the seedlings are around 10cm tall, you can make a furrow in the prepared bed then simply slide the seedlings from the guttering into their final position. 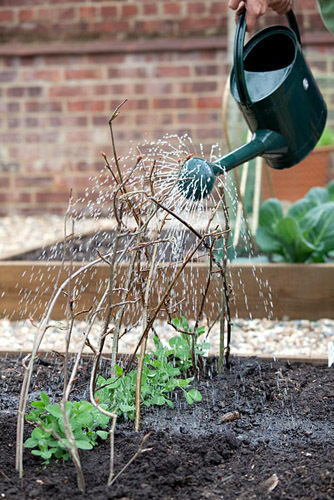 Push twiggy sticks into the soil on either side of the seedlings so that they can support themselves as they grow taller. Water well until established and patrol nightly to check for slugs and snails. Depending on the weather, peas can be ready to harvest from as little as 12 weeks after sowing. 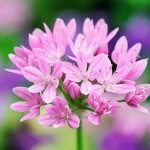 Try to pick them every day to encourage the plants to keep flowering for as long as possible. Pods are ready to harvest if they’re swollen and you can feel the peas inside. Work methodically from the bottom of the plant upwards and from one side to the other so you don’t miss any pods. Click here to view the full feature. 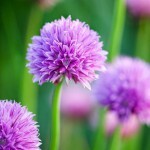 This entry was posted in Practical gardening on March 21, 2014 by gapadmin.